The more you learn about the industry of marketing colleges, the more skeptical you'll become of the $150,000 famous school degree. Every high school parent in America should read this book. What others thought about "Colleges That Change Lives"
Choosing the right college has never been more important—or more difficult. For the latest edition of this classic college guide, Hilary Masell Oswald conducted her own tours of top schools and in-depth interviews, building on Loren Pope's original to create a totally updated, more expansive work. Organized by geographic region, every profile includes a wealth of vital information, including admissions standards, distinguishing facts about the curriculum, extracurricular activities, and what faculty say about their jobs. Masell Oswald also offers a new chapter on how students with learning disabilities can find schools that fit their needs. For every prospective college student searching for more than football and frat parties, Colleges That Change Lives will prove indispensable. 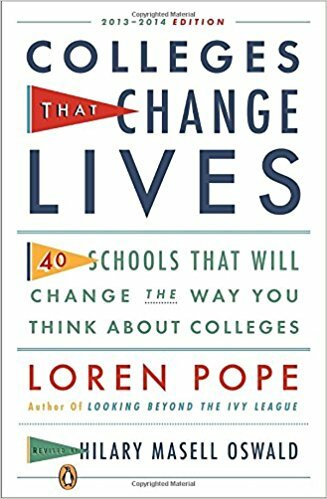 Fully revised and updated by education journalist Hilary Oswald, Colleges That Change Lives remains the definite guide for high school students (and their parents) who are looking for more in their college education than football, frat parties, and giant lectures. Building on the foundation of landmark author Loren Pope, Oswald spent more than a year visiting 40 colleges, speaking with students, faculty, and alumni to create these vivid and concise portraits. 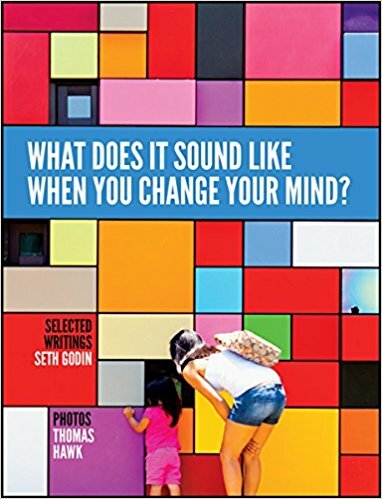 Featuring a new introduction, a new Required Reading section, and a new chapter on learning disabilities, the book is organized into five geographic regions (Northeast, South, Midwest, Southwest, Northwest) to make for easy browsing, and urban, suburban, and rural campuses are all featured. There’s also an alphabetical index of colleges. Each profile includes admissions standards as well as relevant statistics to make your decision easier, including where the school ranks in post-graduate grants and fellowships, what percentage of students go on to graduate school or further education, distinguishing facts about the curriculum, percentage of professors who have terminal degrees in their field, even what activities are available to students and what they’re likely to do on weekends. From the look and feel of the campus, quality of dining hall food and extracurriculars to the percentage of students who study abroad, average SAT scores, and educational philosophy, Oswald anticipates the questions you’ll have and provides the answers (and if you want to know more, there’s a section with contact information for every profiled school). You might not heard of many of these schools, but after reading Colleges That Change Lives you’ll be dying to visit yourself. With more than 150,000 copies sold and 24 printings, Colleges That Change Lives remains the definite college guide book for discerning students. Whether you’ve got straight A's and have always known you’ll go on to higher education or you’ve got a mediocre transcript but suddenly find yourself interested in college, this is the book for you.